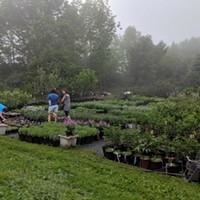 Over the past decade, the term “farm-to-table restaurant” has elbowed its way into the mainstream vocabulary and culinary ethos. While the rise of locally sourced cooking marks a long-overdue return to a more wholesome and direct supply system, the concept has had a frustratingly narrow application, in practice becoming nearly synonymous with a predictable New American menu of grass-fed burgers, butternut squash ravioli, and the like. So it is deeply refreshing when someone applies the concept to another cuisine. Chinese takeout has long been a cornerstone in the American diet—a greasy, guilty pleasure on those nights when you can’t be bothered to cook. Award-winning local restaurateurs Chris and Howard Jacobs (The Amsterdam) realized that this beloved cuisine was ripe for a farm-to-table reimagining and seized on the opportunity. 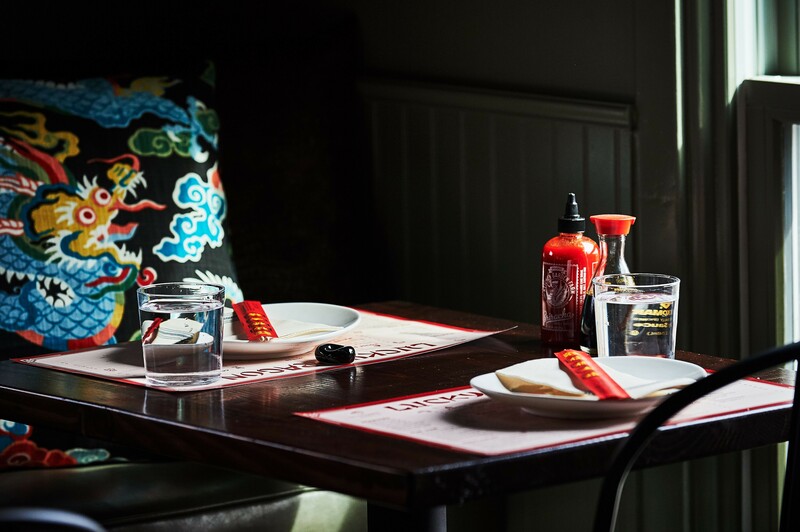 Together with Amsterdam chef Alex Burger, the Jacobs envisioned a restaurant where you can enjoy all your favorite Chinese dishes—kung pao shrimp, General Tso’s chicken, crab rangoon, pork dumplings—made with the freshest, local produce in a cozy, laid-back setting. Chef Burger, who spent extended time living and cooking in Asia, was well-equipped to build out the menu, which features Mandarin, Cantonese, and Sichuan dishes. 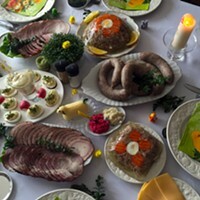 It is well-worth ordering a range of dishes for the table to sample. 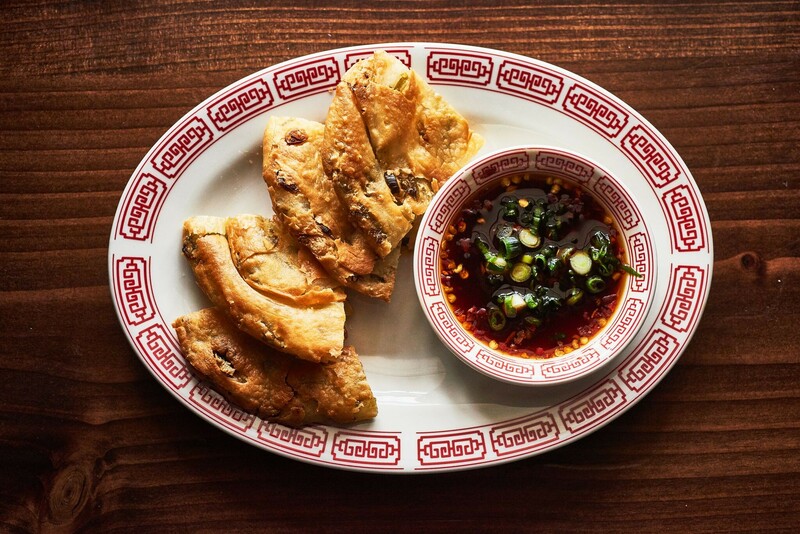 Start with the perfectly crispy scallion pancakes served with a soy ginger dipping sauce so good you’ll want to drink it ($6). Don’t skip the dim sum; there are four dumpling offerings (including one vegetarian mushroom and vegetable offering, $6), all served in a classic bamboo steamer. 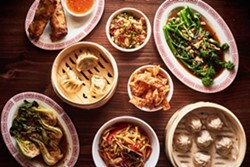 For your main, if you're planning to go with a group, reserve 24 hours in advance for the Peking Duck house special ($95), which comes with bao buns, hoisin, cucumber slaw, and fried rice. The Kung Pao Shrimp ($19) and the Szechuan Chicken ($18) both pack a bit of heat (in the best way) and come in a rich, silky sauce. Most shocking of all, you can actually taste the vegetables (a perk of the ultra-fresh produce). You can’t go wrong with the fried rice, but good luck picking between the LD house rice, served with Chinese sausage and egg, or the kimchi fried rice, ‘nuf said. 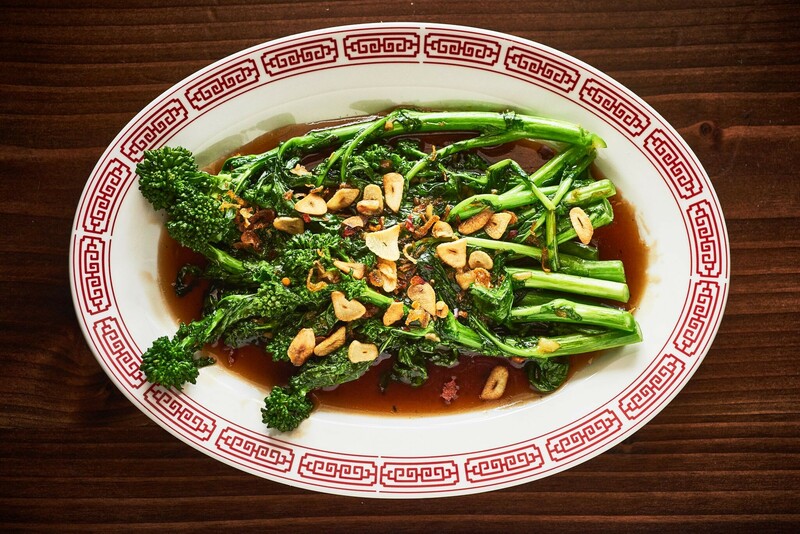 Whatever you do, order a side of the bok choy. Simple yet bursting with flavor, this culinary slam dunk just might be the menu’s secret weapon. And yes, in case you were wondering, the bill comes with fortune cookies. 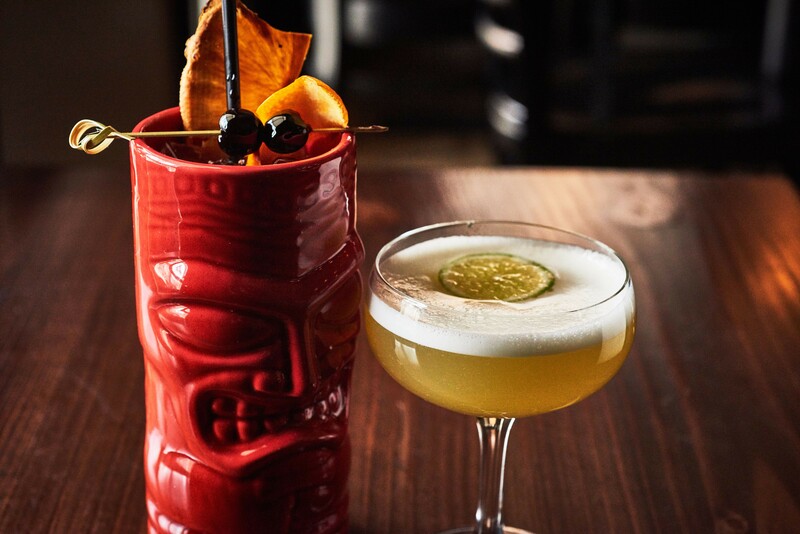 On a Sunday night, for the friends and family pre-opening, the restaurant was abuzz with excited chatter. 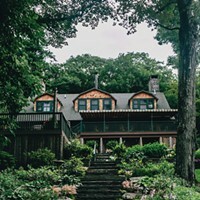 (Even freshman Congressman—and Rhinebeck resident—Antonio Delgado couldn’t resist the call of farm-fresh beef and broccoli, and was spotted dining with his wife and friends). Two-top tables were covered in Tetris-like configurations of plates, as patrons hungrily scrambled to try it all. Downstairs the Chinese apothecary bar serves up a short and well-balanced wine list, local beers, and a selection of seven Asian-leaning craft cocktails. 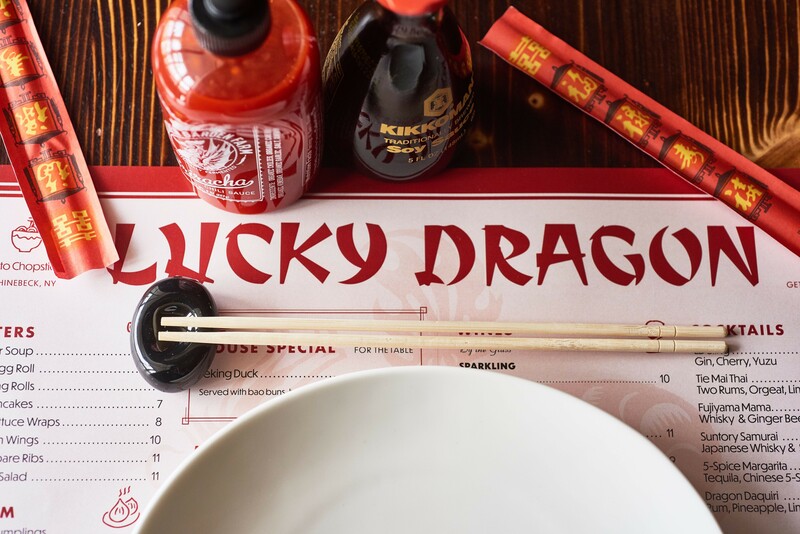 Like The Amsterdam, Lucky Dragon features a full bar and patio area in the backyard, which will stay open late in the warm months. While this building has hosted a run of restaurants, here’s hoping it has finally found a permanent tenant in Lucky Dragon. Opening weekend is sure to be slammed. Reserve your table now online.